Personalized First Aid Kits Custom Printed in Bulk. Promotional, Very Inexpensive. Lowest prices in USA, Canada. Bulk personalized pocket first aid kits at bargain prices. Free artwork design. We will send you a proof for your approval before production. Budget Prices in the USA and Canada for wholesale personalized pocket first aid kits. American clients pay no taxes. We supply a number of models of promotional custom imprinted first aid kits with different contents, and different prices. All the Price Tables below contain unit prices dependent on quantity. All unit prices include your 1-color custom imprint. Contact us for extra imprint colors, or for the pricing of blank wholesale first aid kits. Soft vinyl case with American-made first aid products. Size: 2 ½” x 4” vinyl case. Weight: about 11 lbs. per 250 pcs. Imprints: 5 lines on front horizontally. Setup Charge: $39.00 per imprint color. Handy fold-over opaque case containing American made first aid products. Size: 2 3/8” x 4” Closed. Weight: about 14 lbs. per 250 pcs. 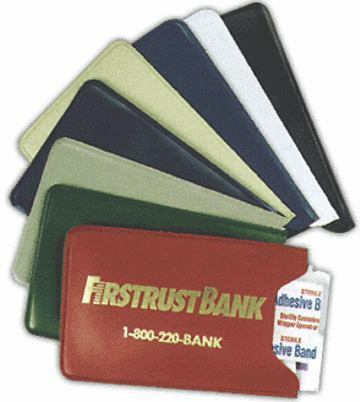 Soft vinyl fold over case with all American-made first aid products. Weight: about 10 lbs. per 250 pcs. Call us to place an order or fill up the Order Form below. Our artwork design is free. Please Email your logo to: info@mapleleafpromotions.com and we will Email you a proof for your approval before production. We will add the most economical shipping charge by UPS Ground unless you instruct us differently. Thank you!